Welcome to the UKCampsite.co.uk, the net's best, oldest, and biggest internet guide to all things camping and caravanning related. Tents, caravans, motorhomes, trailer tents, you name it we love them and we get millions of visitors each month. You dont have to be a member to use the site, but it's free, and easy, and has many benefits, so why not join us! You'll find thousands of camp site details and over 200,000 independent reviews, links to webpages and more. Add a review of your last trip. PLUS our unique virtual brochure system , allowing you to save all your favourite campsites & caravan sites on your own personal page. Method 1 Click on the map on the right to browse a certain area. 1000s of links, names and addresses of camping and caravanning companies from Caravan Storage and Camping Shops, to route planning and owner's clubs. The UKCampsite.co.uk and Easter Hunt is back by popular demand, sponsored by Towsure. Follow the clues, find the answer, and have a chance to win a fantastic Easter prize of an Avtex 21.5 Inch HD LED TV / DVD worth £399! An amazing fun weekend for all the family, with camping and caravanning on site from Friday to Monday. Children's entertainment, old steam, engines, classic car displays, market stalls, and full catering and onsite bar. Save £20 by booking in advance. Bringing your caravan or motorhome out of hibernation could result in some things not working properly. Here's a useful checklist to help get you back on the road after winter storage, or after it has not been used for any long period. The Commodore Double sleeping bag ensures all the night time sleep comfort needed to enjoy your summer holiday & the Dreamboat SIM features comfy foam insulation and can be flipped over with a cooler side for hot weather and a warmer side for cold nights. Truckfest shows are among the largest outdoor events in the UK, and feature exciting family entertainment with weekend camping. Details of the eight UK shows, plus a chance to win tickets to all of them! All the fun of the Game and Country Fair taking place on 27th - 28th April, at Euston Estate near Thetford and you can even camp over for the weekend - enter our competition to win tickets. This year Paws in the Park has spring and autumn shows in May and September. Endless activities for you and your dog to enjoy plus weekend camping. We're giving you the chance to win family camping at each one! Outwell is launching two new inflatable caravan awning ranges for 2019 - the two collections comprise five models in 12 sizes which should suit all needs. Here's a sneak preview of the models available in the new Nordic Shore and Nordic Coast ranges. One of our most popular pages. Use our checklist to make sure you never forget anything again. Tick off all your gear, before every camping trip. 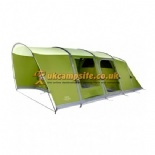 A list of sites which have special offers, discounts and deals for UKCampsite.co.uk users. Find a bargain, or money saving deal. A great family fun day or weekend away in September in Leicestershire. Featuring air displays, aerobatics, jousting, and more. Camping available on site too! Take advantage of our exclusive discount and book your tickets now! Got a camping, caravanning, or motorhoming tale to tell, a special holiday blog, or a story to share? Please send us your stories - we cant promise to make you rich, but we might just give you 15 minutes of fame! Find an open all year campsite or caravan park, for winter camping, and Christmas or New Year trips. Never put a barbecue in your tent or awning, either during or after use. Carbon monoxide fumes from BBQs are invisible, odourless, and lethal. Please read our advice, and download our poster and help spread the word.